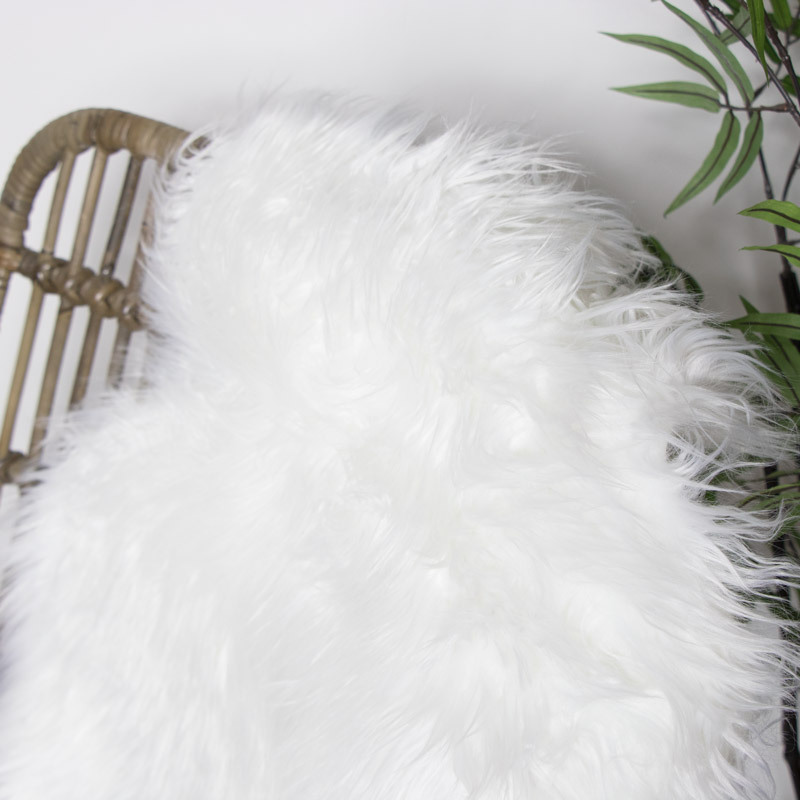 Create a look of luxury and comfort in your home with this soft faux fur white rug. Classic Scandi style that will suit modern, traditional and contemporary decors. This rug can also be easily used as a soft and inviting throw for your bed or sofa. So soft and just what you need for all those creature comforts. With even more rugs and throw available for you to furnish your home in luxury and style. Create a look of luxury and comfort in your home with this soft faux fur white rug. Classic Scandi style that will suit modern, traditional and contemporary decors. This rug can also be easily used as a soft and inviting throw for your bed or sofa. So soft and just what you need for all those creature comforts. With even more rugs and throw available for you to furnish your home in luxury and style. 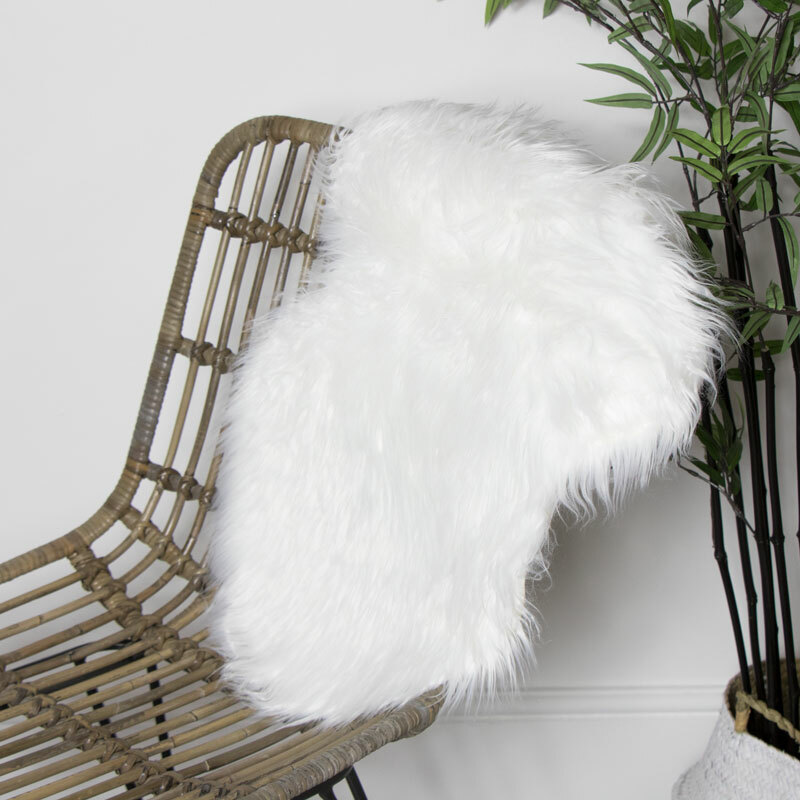 Faux fur design made from acrylic with a realistic look in a neutral white colour. We have a great range of soft furnishings that will add some comfort and warmth to your home. Fabulous rugs and cushions that will help to make a house a home.